Set2Physio is a ConnectTherapy™ dedicated clinic providing the assessment/treatment of musculoskeletal injuries, sports injuries, repetitive overuse injuries and complex case management. At Set2Physio we provide long appointment times, allowing personalised treatments to maximise patient outcomes, all within a private room setting. 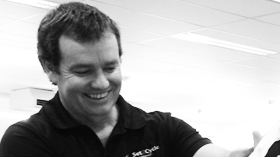 At Set2Physio we provide Set2Cycle bike fitting services utilising the ConnectTherapy model of assessment. Whether you are new to cycling, looking for advice regarding injury prevention, experiencing an ongoing discomfort or wanting to improve your cycling comfort then consider booking a Set2Cycle bike fitting. This Set2Cycle - ConnectTherapy bike fitting service is unique to Set2Physio. Q. Where is Set2Physio located? A. Set2Physio is located within Club Lime gym, Phillip. Metered parking is available, as well there is 2 hour parking facilities in the adjacent shopping precinct area. Q. What is ConnectTherapy? A. ConnectTherapy™ is a model of assessment/treatment developed by Dr LJ Lee from Vancouver. The ConnectTherapy model assesses your body as a whole, generating a profile to the cause (driver) of the discomfort, not just treating symptoms. Q. Should I bring any imaging scans? A.Yes if you have imaging reports or imaging films please feel free to bring them along. Q. What can I expect at an initial appointment? A. At the initial Physio appointment a thorough history will be taken and progress to the ConnectTherapy assessment. If able please bring along shorts & a comfortable top. Every effort will be made to start on time, so no need to arrive early. Q. Do Set2Physio provide Insurance related services? A. 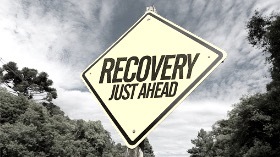 Yes for insurance claims there is the Set2Recover program. This may include physiotherapy assessment/treatment, return to work - exercise-based gymhab programs as well as work capacity assessments utilising the Workhab system. Q. Is there HICAPS available at Set2Physio? A. Yes, a mobile HICAPS terminal is located within the Set2Physio clinic. Contact your health fund regarding allocated rebates. .
Q. How much time is allocated to a Physio appointment? A. Initial Physiotherapy appointments = 1 hour, review appointments = 45 mins. 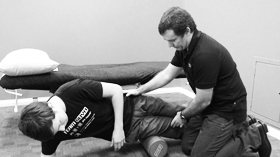 Jamie aims to provide high quality Physiotherapy and Sports Screening services to the Canberra community. He strives to combine hands on treatment and exercise prescription in the management and treatment of his clients, focusing on a functional and long term recovery. As a keen cyclist himself, he understands the benefits of correct positioning with the alignment of individual’s physiological limitations. When not in the clinic Jamie enjoys keeping fit, coaching basketball and spending time with his wife and 3 growing boys.